Mike Johnson is a leading commentator and researcher on the Future of Work, Talent Management, Corporate Communications and How to Work as an Independent. 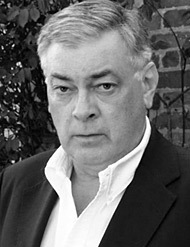 He is the author of twelve books on business and management issues as well as several series of world-of-work studies for both The Economist and the Financial Times, as well as over 100 global and Europe-wide studies for international corporations and institutions. Recent books include Winning the People Wars and Talent Magnet, both for the Financial Times and The New Rules of Engagement and The Independent Consultant’s Survival Guide for the CIPD. 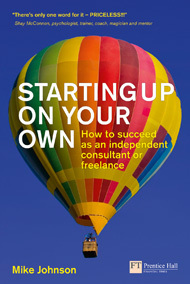 His latest book Starting up on Your Own: How to Succeed as an Independent Consultant or Freelance was published in November 2009 by the Financial Times. A regular presenter and chairman on conferences around the globe, he is the founder of the FutureWork Forum, an independent, international think-tank and consulting network of business professionals.